I went by the CountryMart on Gore and Cache yesterday and found a couple of cheap finds. Have you found anything great this week? I also spoke with the manager on Gore about the Progresso Soups that have only a few BOGO signs out. I was concerned that the ‘select varieties’ statement in their ad might be EXTREMELY select with only 3 varieties but she said she had received an email the day before telling her they will all ring up at $1.39 each. The ‘Classics’ will ring up at $1.54 each. She had hoped to get one more email confirmation before she switched signs and it should be situated by today. Check your register receipt if you have any concerns. Also, the General Mills cereals that are on the BOGO sale only include Reese’s Peanut Butter Puffs, Lucky Charms, and Regular Cheerios. Both stores were out of Cheerios. But, some of the other General Mills cereals are marked down to $3 so you could still get a nice deal with one BOGO cereal (or 2) and one sale cereal. Be sure to check the Post cereals. I know we didn’t have any coupons to match with these but they are included in the BOGO sale and have many varieties that are under $2 a box. The Golden Crisps are ringing up at $1.69 and even include $4 in coupons. UPDATE: There are still quite a few reservation day and times for the Lawton Chick-fil-A on Cache Rd available to redeem this FREEBIE coupon! I tried to sign up for this deal Monday and the site was having technical difficulties. Thanks to reader Wanda H. for reminding me to give it a try again this morning. I’ve read there have been a few issues this morning but I was able to reserve my own FREE Breakfast entree and the Cache Rd Chick-fil-A in Lawton, OK still has over 2500 reservations available for the week of September 6-10 (Monday is full, but Tues-Sat still have available reservations at the time of this post). Just pick a day and time you would like to enjoy your FREE breakfast entree item and then check your emails for a printable coupon to take with you during your reservation date and time next week. Also, be sure to add Lawton Chick-fil-A to your Facebook so you don’t miss out on location specific FREEBIES. The Cache Rd Chick-fil-A gave away free Chicken Biscuits last week to Facebook fans, did you get one? OKC Groupon has a great deal today for the El Chico in Lawton’s own Central Mall. 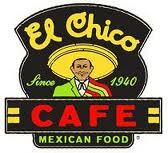 $10 gets you $20 to use at El Chico in Lawton Central Mall and won’t expire until 12/4/2011. This deal is good until midnight Saturday 9/3 but still needs 12 purchases to get these 1/2 price savings. Sign in or Join Groupon OKC to get this Groupon deal. Check the OKC Groupon sidebar as this is not the main OKC Groupon for the day. This Groupon is valid for the Lawton location. Are you or the kids in need of a new Back to School computer? If so be sure to check out this great coupon for Staples where you can take $50 off select HP Laptop or PC (see coupon for product numbers). This coupon expires 9/3. I was extremely disappointed this last week when I wanted to do the Revlon deal at Walgreens that I’m sure many of you have read about by now. The reason why is because I couldn’t find the $2 off Walgreen’s coupon in the 7/24 SmartSource insert. This ONE coupon would have taken $2 off EVERY Revlon item I decided to pick up saving me as much as $16 if I had picked up 8 items! This would have made for some great Christmas stocking stuffers in my opinion but I never had the chance to test the deal due to the missing coupons. Normally, I will throw out Dollar General ads and the like that get placed in the middle of inserts (to save room in my unclipped inserts file) so I was worried I had done the same with the Walgreens coupons ad (surely I wouldn’t throw out COUPONS!). However, I’m relieved to learn they were never in our inserts here in Oklahoma (a bitter-sweet confirmation as I also learn we rarely get them). So, this weekend be sure to flip through your SmartSource insert and locate these valuable coupons and hang on to them as they don’t expire until 9/24. If you can’t find them in your paper for some reason I read about these great coupons from Consumer Queen. She has access to the Daily Oklahoman and you can find those at local convenience stores outside of OKC on Sunday only. If you haven’t stockpiled your paper towels enough so far this month you’ll want to check it out. Click to see the original Consumer Queen post and a full list of these great coupons. 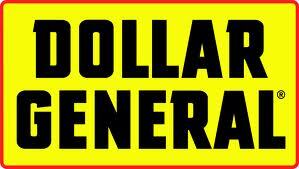 Dollar General has their great $5 off $25 coupon available again for this Saturday (8/27) only. Be sure to print your coupon HERE.